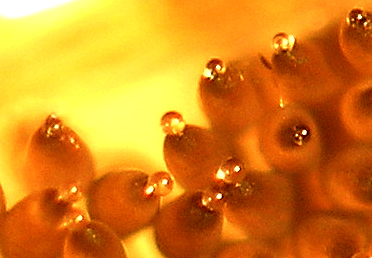 This shows the apical droplets that form on Culex eggs, mostly lipid material but containing a volatile pheromone. This pheromone attracts other gravid females to the water to oviposit. The compound was identified as 5R,6S-6-acetoxy-5-hexadecanolide.